Alia has owned & operated The Pilates Loft Arlington, Virginia since 2014. Prior to opening the studio in Arlington, VA she was a full-time Pilates Instructor at The Pilates Loft in Orlando, Florida for four years. Alia has always had a passion for fitness, but a major spinal fusion surgery at the age of 15 challenged her to find ways to stay fit while accommodating a rigid spine. She began practicing Pilates to introduce a new form of exercise into her fitness routine and was quickly impressed by the results. She noticed increased flexibility in her tight back and a substantial improvement in the strength of her core. As an avid runner, Alia firmly believes in practicing Pilates as a form of cross training. Alia earned Bachelor of Arts degrees in Communication and English from Virginia Tech in Blacksburg, VA and worked in the public relations field for three years. She also earned her MBA at the University of Central Florida. The Pilates Loft Arlington is a certification center for the NY Pilates Studio Teacher Certification Program through the United States Pilates Association ® LLC and The New York Pilates Studio ® and Alia was invited to serve as a Supervising Instructor to future Pilates Instructors. Alia received over 700 hours of intensive training at The Pilates Loft in Orlando where she trained extensively with owner Jennifer O'Mara, Teacher of Teachers for the United States Pilates Association ® LLC and The New York Pilates Studio ®; and at The Pilates Haus in New Jersey with Brett Howard, Senior Teacher of Teachers and Director of Education for the U.S.P.A. Jennifer and Brett were both certified by Joseph Pilates’ protégé, Romana Kryzanowska. Alia strives to educate herself completely in the principles of Authentic Pilates and share her passion for Pilates with her clients, instructors and apprentices. Giulia has had a passion for fitness from a young age; trying a variety of different dance classes and recreational sports teams throughout grade school, including tap, jazz, swimming, softball & soccer. After college, while looking for new ways to keep active, Giulia found Pilates and was rapidly inspired by the practice. As her technique in Pilates advanced over the following years, so did her passion for the practice. Eager to expand her knowledge and share the Pilates method with others, she decided to become a Certified Pilates Instructor. Giulia graduated from George Mason University in Fairfax, Virginia with a Bachelor of Arts Degree in Communication. 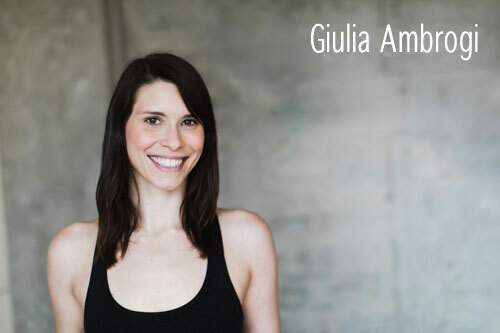 Giulia was certified in 2016 after completing over 700 hours of intensive training at The Pilates Loft in Arlington with Alia Staples, Supervising Instructor for the United States Pilates Association ® LLC and The New York Pilates Studio ®, Jennifer O'Mara, Teacher of Teachers for the U.S.P.A., and Brett Howard, Senior Teacher of Teachers and Director of Education for the U.S.P.A. Rhyla, born and raised in southern Indiana, was a competitive gymnast for over a decade. Throughout that time, she fell in love with the art of exercise, and gained an understanding and appreciation for the human body and movement. Her passion for staying fit was constant throughout her college career, and it inspired her to teach swimming lessons, instruct kick boxing classes, and serve as an intern at National Institute for Fitness and Sport (NIFS); a gym in Indianapolis that caters to amateur and professional athletes. Years later, an old injury from childhood began to resurface, causing chronic lower back pain. A doctor’s prescription for Pilates was life changing, and she hasn’t looked back since. After her first class at The Pilates Loft in 2015, she was hooked. She rediscovered movement in her own body, the power of the authentic method, and her desire to share this knowledge with others. Rhyla became a certified instructor in 2017 after completing over 600 hours of training at The Pilates Loft in Arlington, under the guidance of Alia Staples, Supervising Instructor for the United States Pilates Association ® LLC and The New York Pilates Studio ®; Jennifer O'Mara, Teacher of Teachers for the U.S.P.A. ; and Brett Howard, Senior Teacher of Teachers and Director of Education for the U.S.P.A. Rhyla is eager to share her love of Pilates with her clients, and is committed to helping them reach their fitness goals. Emily Guiliano began Pilates in 2015 when she was searching for an activity that would re-engage and re-energize the mind-body connection she knew and loved throughout her 15 years of martial arts training. Her previous evolution from student to sensei of Okinawan Karate, under Grand Masters Gregory and Judy Tearney (Syracuse, NY), made the progression of her practice of Pilates and joining the United States Pilates Association, LLC. certification program seem organic. She was proud to travel this new path to share her enjoyment and the benefits of Pilates with others. Akin to her martial arts background, Emily appreciates the traditional training, mentorship, and ideology that the U.S.P.A. provides, as well as the instructor lineage which connects to Joseph Pilates through his protege Romana Kyrzanowska. Emily was certified in 2017 after completing over 600 hours of intensive training at the Pilates Loft in Arlington with Alia Staples, Supervising Instructor for the United States Pilates Association ® LLC and the New York Pilates Studio ®, Jennifer O’Mara, Teacher of Teachers for the U.S.P.A., and Brett Howard, Senior Teacher of Teachers and Director of Education for the U.S.P.A. 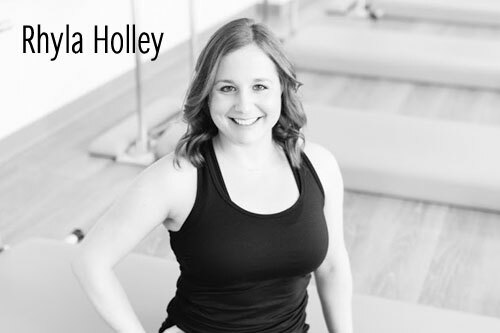 Emily holds a Bachelor of Science degree in Business with a concentration in Management, Finance, and Economics, and values both the counterbalance and complimentary qualities that Pilates provides to her career. Viktoriya, born and raised in Ukraine, began practicing Pilates in 2011 when her chiropractor recommended Pilates to strengthen her back muscles and “core” to relieve recurring back pain. Although, at first, the Pilates classes were a real struggle – especially since she was weak and her muscles tight after years of sitting and studying as a student – she persevered. As time went on she started noticing changes. First, the back pain went away. Then, she saw she had become more toned and balanced. Eventually, she could not imagine life without Pilates, and she decided to take her first Pilates training in Ukraine. 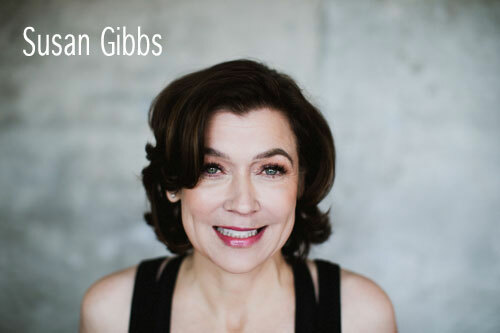 After moving to the US and trying various Pilates methods, she discovered the most outstanding in a seminar with Brett Howard – Authentic Pilates. Viktoriya has bachelor’s and master’s degrees in English Philology and Linguistics in 2009 from Dnipropetrovsk University of Law and Economics. Before becoming a Pilates instructor, she worked as an ESL instructor for many years in her native Ukraine. She enjoyed teaching so much that the transition to Pilates instructor was quite natural. Viktoriya has taught Pilates in the US, as well as abroad, while living in St. Petersburg, Russia, and Mexico City, Mexico. Her greatest inspiration is seeing her students’ progress. Viktoriya was certified in 2018 after completing over 600 hours of intensive training at the Pilates Loft in Arlington with Alia Staples, Supervising Instructor for the United States Pilates Association ® LLC and The New York Pilates Studio ®; Jennifer O'Mara, Teacher of Teachers for the U.S.P.A. ; and David Freeman, Principal of the U.S.P.A. MJ became interested in Pilates while still living and studying in Poland, however, at the time she was unable to pursue her dream of becoming a Certified Pilates Instructor. MJ immigrated to the US in hopes of extended opportunities and to fulfil her dream of becoming a Certified Pilates Instructor. After living briefly in Jacksonville, Florida, she moved with her husband to Arlington, Virginia where she began practicing Pilates to address back problems that had persisted for several years. Once she began taking classes, she was hooked and then went on to train at The Pilates Loft to become a Certified Instructor. She believes that Pilates is the ultimate form of exercise to help strengthen, lengthen and tone the body and is also an invaluable tool to assist during rehabilitation. Her love for Pilates stems from its positive impact on her own physical and mental well-being, and she strives for others to find those very benefits. MJ completed over 600 hours of intensive training at the Pilates Loft in Arlington with Alia Staples, Supervising Instructor for the United States Pilates Association ® LLC and The New York Pilates Studio ®; Jennifer O'Mara, Teacher of Teachers for the U.S.P.A. ; and David Freeman, Principal of the U.S.P.A. MJ is eager to share her passion for the Authentic Pilates method with her clients to help them meet their fitness goals. Susan came to Pilates when her very pushy mother (a Pilates devotee of many years) gifted her with a twelve-pack of privates on her birthday. It only took one lesson for Susan to figure out that Pilates was the element missing from her fitness routine. After her sixth lesson, she had begun investigating becoming a certified Pilates instructor to deepen her knowledge of Joseph Pilates’ methods. Susan is a dedicated life-long learner and, in addition to a Bachelors degree in English and a Master in Creative Writing, she is a culinary school graduate and spent 10 years as a network news producer in New York City. When Susan isn’t teaching and practicing Pilates, she runs two businesses and is mom to two amazing small humans. Her life is fueled by hot tea and power naps. Susan completed over 600 hours of intensive training at the Pilates Loft in Arlington with Alia Staples, Supervising Instructor for the United States Pilates Association ® LLC and The New York Pilates Studio ®; Jennifer O'Mara, Teacher of Teachers for the U.S.P.A. ; and David Freeman, Principal of the U.S.P.A. Susan is eager to share her passion for the Authentic Pilates method with her clients to help them meet their fitness goals. 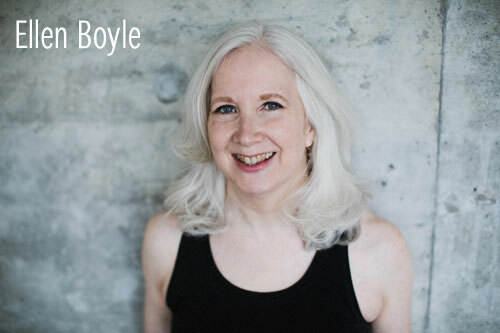 Ellen Boyle began practicing Pilates twelve years ago while searching for relief from recurring back pain. After just a few group mat classes she realized both how out of shape she was after having three children, and how much she enjoyed the way Pilates made her feel. She stuck with the mat classes, and eventually mixed in apparatus lessons as well. Her back pain went away, she had more energy for her busy family, and she looked and felt better. Seeking a way to keep Pilates in her life for the long term Ellen got certified as a Pilates instructor, completing her 650-hour Comprehensive certification in 2007. She loves the energy of group classes and the ability to focus on individual needs during private apparatus lessons. Most importantly, she truly enjoys hearing about and seeing the positive impact Pilates has made in the lives of her students. Ellen regularly attends continuing education seminars to continually broaden her understanding of the Pilates Method and how it can be applied to a broad range of client needs. Silvia grew up a dedicated student of ballet and was a boxer through college. After graduating with a B.A. 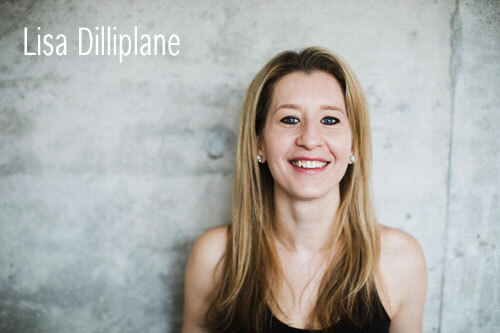 in Economics from the University of Basel, Switzerland in 2009 and beginning her career in consulting, Silvia tried Pilates and found it a natural fit. She was a student of Pilates for several years before deciding to become a Certified Pilates Instructor in order to fully understand the exercises and to be able to share the method with others. Silvia was certified in 2016 after completing over 700 hours of intensive training at The Pilates Loft in Arlington with Alia Staples, Supervising Instructor for the United States Pilates Association ® LLC and The New York Pilates Studio ®, Jennifer O'Mara, Teacher of Teachers for the U.S.P.A., and Brett Howard, Senior Teacher of Teachers and Director of Education for the U.S.P.A. 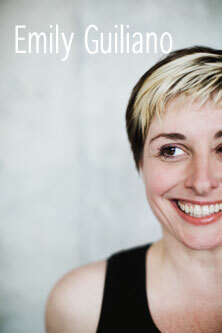 She is eager to share the Authentic Pilates method and to promote its benefits to her clients. Silvia is fluent in English, German and French. Kara, a native of Pittsburgh, PA, has always been an avid lover of fitness, participating in dance and gymnastics as a child and later falling in love with running, spin classes, and swimming. After moving to Arlington, she was seeking to add variety to her usual workout regime and immediately fell in love with Pilates. Kara enjoys the increased core strength and lengthening of her muscles that can only be accomplished through Pilates. After her very first class at the Pilates Loft, she was hooked on the Authentic method and decided to become an instructor. A frequent traveler, Kara has continued her Pilates practice around the world, training in Bahrain, Germany, and Italy. Kara graduated from the University of Notre Dame in 2010 with a degree in Aerospace Engineering and received a professional Master of Science in 2013. Kara was certified in 2017 after completing over 600 hours of intensive training at the Pilates Loft in Arlington with Alia Staples, Supervising Instructor for the United States Pilates Association ® LLC and The New York Pilates Studio ®; Jennifer O'Mara, Teacher of Teachers for the U.S.P.A. ; and Brett Howard, Senior Teacher of Teachers and Director of Education for the U.S.P.A. 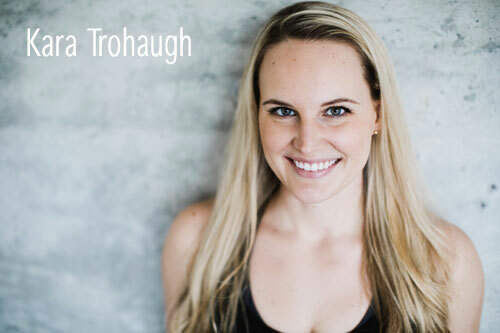 She is eager to share her passion for the Authentic Pilates method with her clients to help them meet their fitness goals. Lisa, originally from southern New Jersey, grew up a devoted student of dance and participated in swimming and figure skating over the years. She received a Bachelor of Arts in Political Science and History from Syracuse University, a J.D. from Rutgers School of Law-Camden, and a LL.M. from American University’s Washington School of Law. 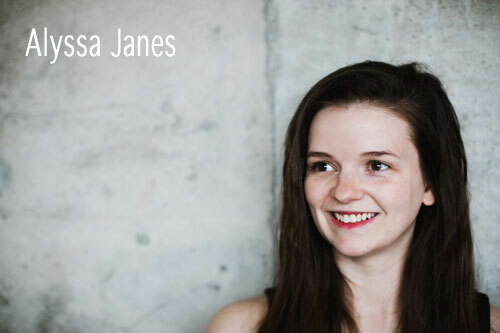 When she started her career, Lisa was looking for various ways to relieve stress and stay active and fell in love with running, yoga, and spin classes. She decided to try a class at the Pilates Loft to strengthen her abs and lower back as well as improve her posture. Lisa was hooked on the Authentic Pilates method after her first class because of the difference she felt from other Pilates classes. After being an avid student, Lisa decided to become certified to further learn the system and share her love of Pilates. Lisa was certified in 2017 after completing over 600 hours of intensive training at the Pilates Loft in Arlington with Alia Staples, Supervising Instructor for the United States Pilates Association ® LLC and The New York Pilates Studio®; Jennifer O'Mara, Teacher of Teachers for the U.S.P.A. ; and Brett Howard, Senior Teacher of Teachers and Director of Education for the U.S.P.A. She is excited to share the Authentic Pilates method with her clients to help them meet their fitness goals and look and feel their best. 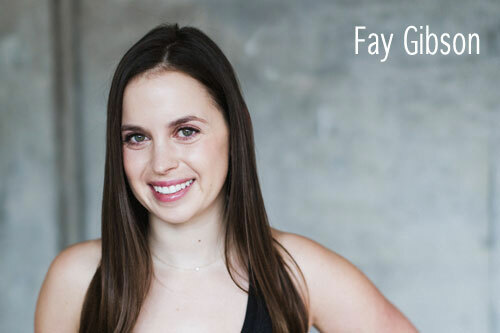 Fay was first introduced to Pilates eight years ago when her mother was completing a classical mat Pilates certification in Savannah, GA. A year later Fay graduated from the University of Georgia with a B.A. in Art History and French and moved to Washington, DC. She wanted to continue practicing Pilates and became a regular at three different studios in the city. Fay quickly realized that her favorite teachers were the ones who were classically trained. A few years later she ventured out to Arlington to take a class at The Pilates Loft after reading the reviews online. She knew immediately that she wanted to practice at this studio exclusively because it is authentic to the Joseph Pilates method and because all the instructors had gone through a rigorous training program and were very knowledgeable teachers. Looking for a way to keep Pilates in her life for the long term, Fay applied to become an apprentice at The Pilates Loft. She completed 600 hours of intensive training with Alia Staples, Supervising Instructor for the United States Pilates Association ® LLC and The New York Pilates Studio ®; Jennifer O’Mara, Teacher of Teachers for the U.S.P.A., and Brett Howard, Senior Teacher of Teachers and Director of Education for the U.S.P.A. Alyssa, a native of Arlington, grew up an avid dancer, hiker, and backpacker. From the age of three through seventeen, Alyssa was a dancer for the Arlington Center Dance Company, performing ballet, tap, modern, and musical theater. At the age of 10 she was diagnosed with spinal scoliosis, which advanced so quickly that spinal fusion surgery became necessary three years later. Luckily, as part of her dance training, she was required to take weekly Pilates mat classes for physical conditioning. She remembers leaving these classes feeling stronger in her core and more flexible and pain-free in her spine. Years later, after finishing her Master's program, Alyssa was eager to get back into Pilates to regain her core strength and flexibility, and to relieve her back pain. After extensive searching, she discovered the Pilates Loft, which has rekindled her love for Authentic Pilates and deepened her passion for its meaningful method. 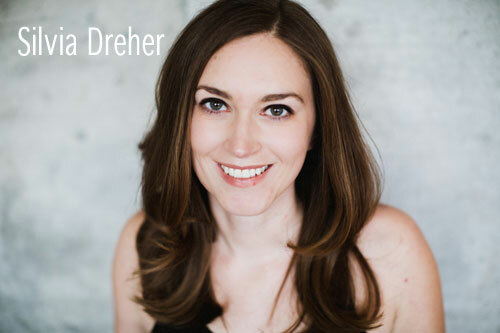 As a Certified Pilates Instructor, she loves sharing this exceptional method with clients, and helping them meet their needs. Alyssa received a B.S. in Environmental Studies from the State University of New York College of Environmental Science & Forestry in 2013. In 2016, she earned an M.S. in Environmental Studies from Antioch University New England. She became a certified instructor after completing over 600 hours of intensive training at the Pilates Loft in Arlington with Alia Staples, Supervising Instructor for the United States Pilates Association ® LLC and The New York Pilates Studio®; Jennifer O'Mara, Teacher of Teachers for the U.S.P.A. ; and David Freeman, Principal of the U.S.P.A.